Can You Change Homeowners Insurance in Escrow? 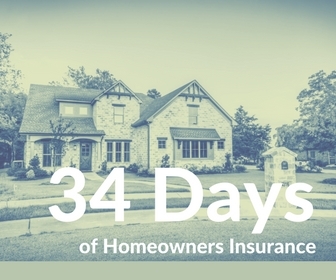 Day 019 | Can You Change Homeowners Insurance in Escrow? “I pay my homeowners insurance through my escrow. I can’t do anything with my home insurance.” Or can you change homeowners insurance in escrow? Every month you pay your mortgage payment. Inside of that one payment is the principal, interest, a portion of your homeowners insurance, and a portion of your real estate taxes. Your bank collects the mortgage payment and places the portion of the insurance premium and real estate taxes in an account known as escrow. Each year when your homeowners policy renews your bank will pay the insurance company for the premium due. Absolutely, yes you can make changes anytime to your policy. Your homeowners insurance is yours. You get the choice to choose who you feel is the best fit for you. Getting a quote or even changing insurance companies won’t hurt your escrow. In fact making a change could lower your monthly mortgage payment. It sounds difficult to make a switch, but it’s not. Once you’ve made the change and canceled your prior carrier your insurance agent and new company will take care of sending the bank proof of insurance and a bill for the premium. Have no fear…switching homeowners insurance companies isn’t near as intense as buying a home. The paperwork is minimal.